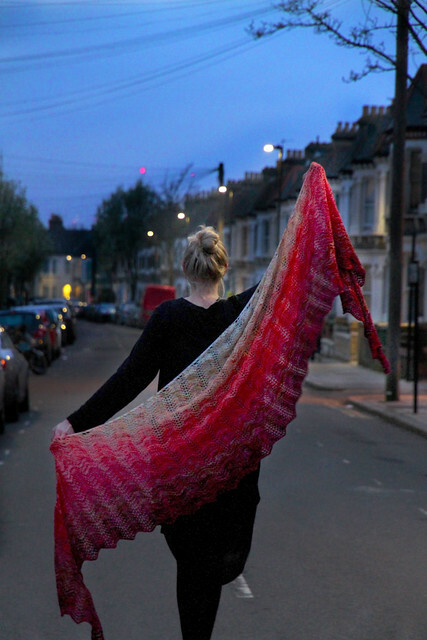 Last week I was lucky enough to be joined in the dye studio by Brixton Purl aka independent knitting pattern designer Therése Hedlund ahead of the launch of her stunning new fade shawl, Blend In, Stand Out (pattern out now!). 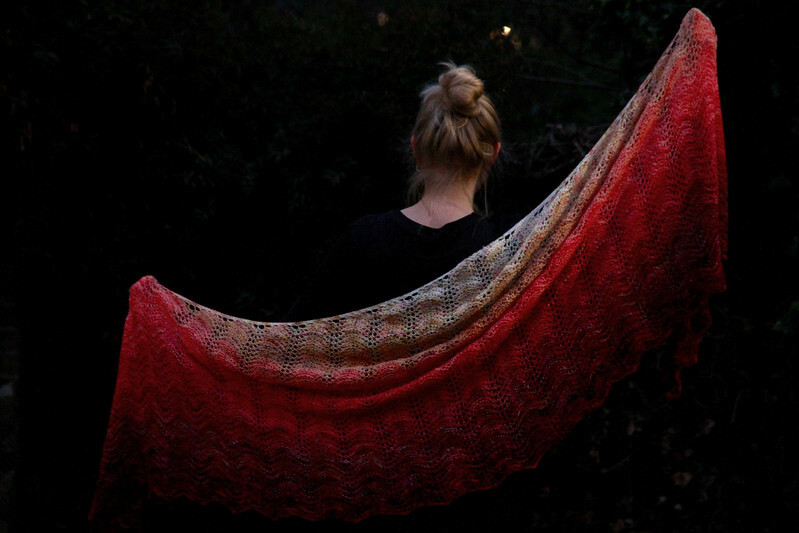 I enlisted her help to create some new summer shades (including the new ‘Pastel Pop’ mini skeins pack), but most importantly, to design shades especially for a kit for the pattern. Blend In, Stand Out is a crescent-shaped shawl in lace and garter stitch, designed to show off your favourite colours. It works brilliantly with semi-solids, mottled and speckled shades in three or five colours. Our Favourite Sock pure merino yarn is the perfect match for the project, with both the drape for beautiful lace and the bounce to give garter stitch its texture. 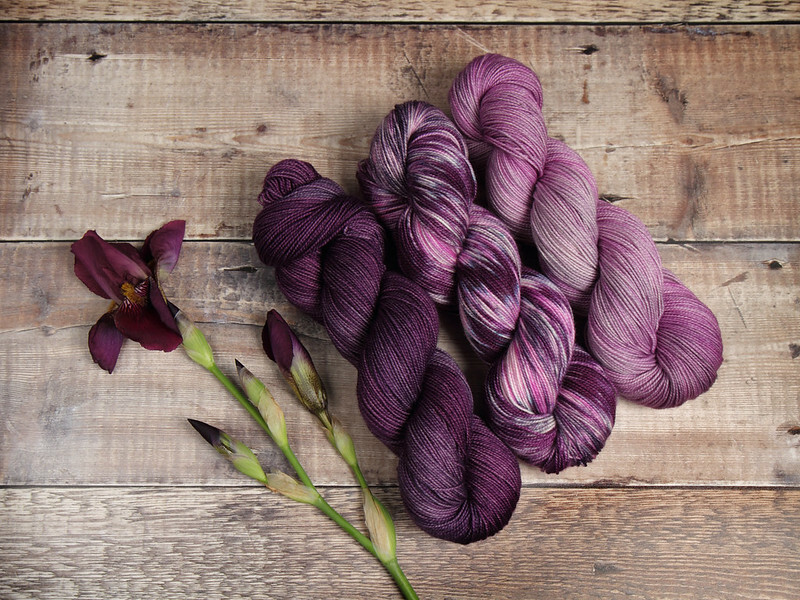 This is our first designer collaboration for a fade pattern and it was fantastic to be able to work with Brixton Purl in the studio to develop the perfect shades for thie kit. 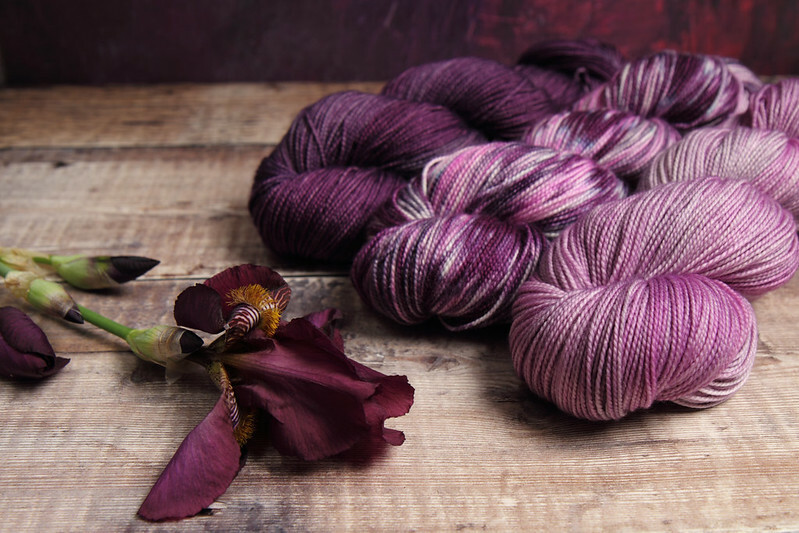 The kit comprises two new shades – ‘Brixton Purple‘ (dark grape) and ‘Radioactive Grape‘ (mottled purples and pinks) – with existing shade ‘Dirty Lilac‘. The first batch was dyed by Ms Purl herself. 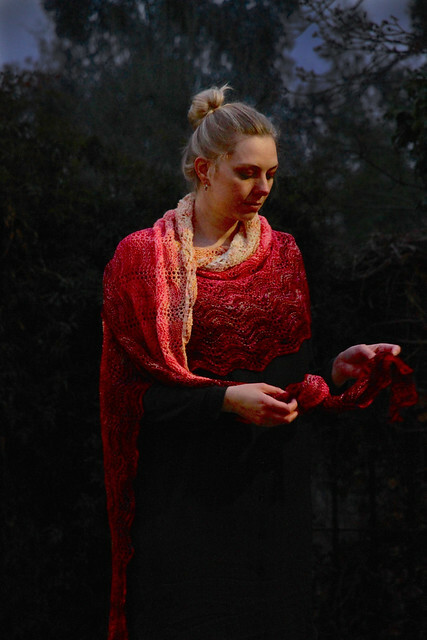 The kit is available for preorder, it will be dyed in regular batches and comes with a 50% off voucher for the pattern. 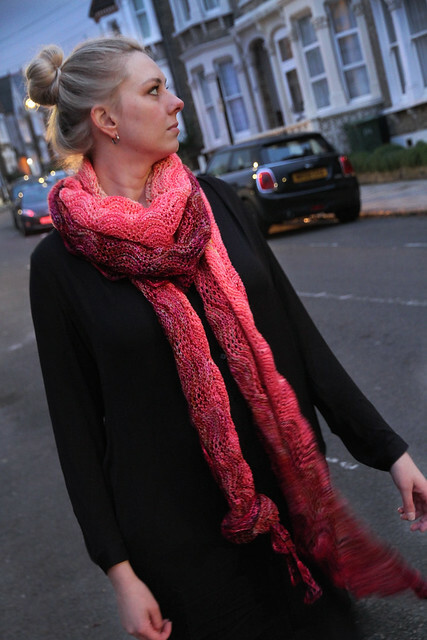 Brixton Purl used a combination of vibrant shades from of Hedgehog Fibres and Fine Fish yarns for her sample. We think it looks amazing in both brights and neutrals. What will you choose?